For more than 100 years, readers have been mesmerised by the experiences of the captivating animals of Beatrix Potter's world. In 2016, in the year of the 150th anniversary of her birth, we started a coin collection commemorating Beatrix Potter and 4 characters from her little tales. With lots of generations taking pleasure in these little tips of youth, the appeal of Beatrix Potter and her stories showed to be as strong as ever, and the collection continues in 2018. 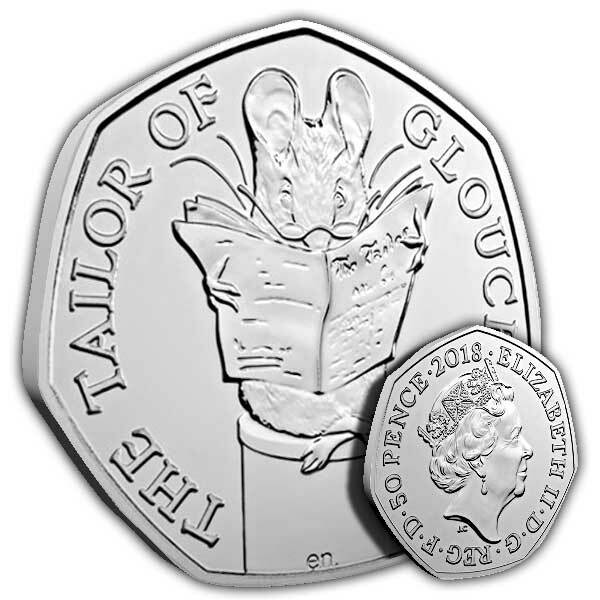 The most recent release in this year's series illustrates among the helpful little mice from the story, sitting cross-legged on a cotton reel, with paper and small glasses. Every detail of Beatrix Potter's initial illustration is improved by our Brilliant Uncirculated surface, a finer requirement than distributing coins. 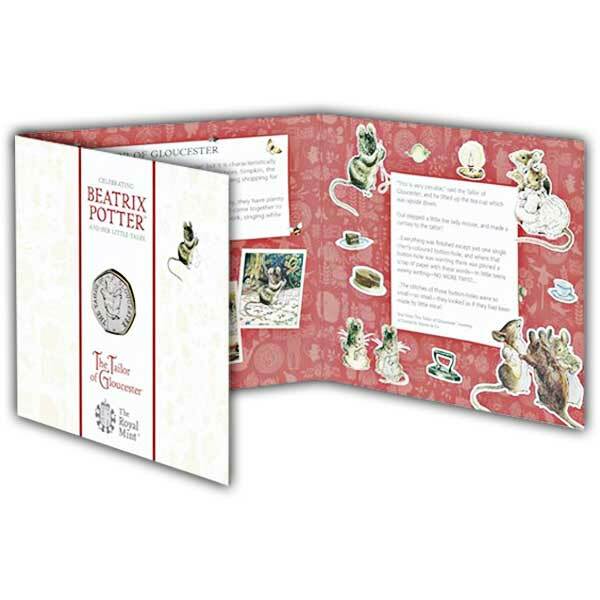 Each coin exists in fold-out packaging motivated by Beatrix Potter's own illustrations.